SPECIAL OFFER: BUY 5 FOR $10! Eddie Johnson personally hand signed these Houston Rockets 8x10 photos. Each Eddie Johnson autographed Rockets photo includes an individually numbered, tamper evident TRISTAR Authentic hologram. The authenticity of your Johnson hand signed photo can be verified at www.tristarauthentic.com, where you can also print a certificate to display with your item. Eddie Johnson played 17 seasons in the NBA. He spent his last few seasons with the Houston Rockets from 1997-1999. Johnson was named the Sixth Man of the Year in 1989. 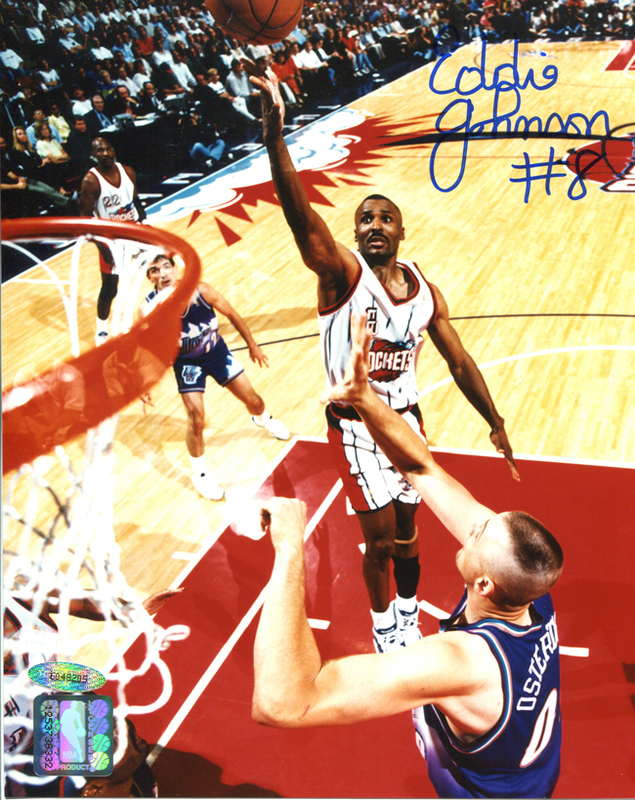 Johnson retired with 19,202 points, 4,832 rebounds, and 2,550 assists.